Motor Vehicle Car, Motorcycle, RV, etc. Personal Property Trailer, Bicycle, Firearms, etc. Should I use a Bill of Sale or a Sales Agreement?The Bill of Sale should be used when a simple contract evidencing a sale is sufficient and you are providing the property "as-is without any warranties". 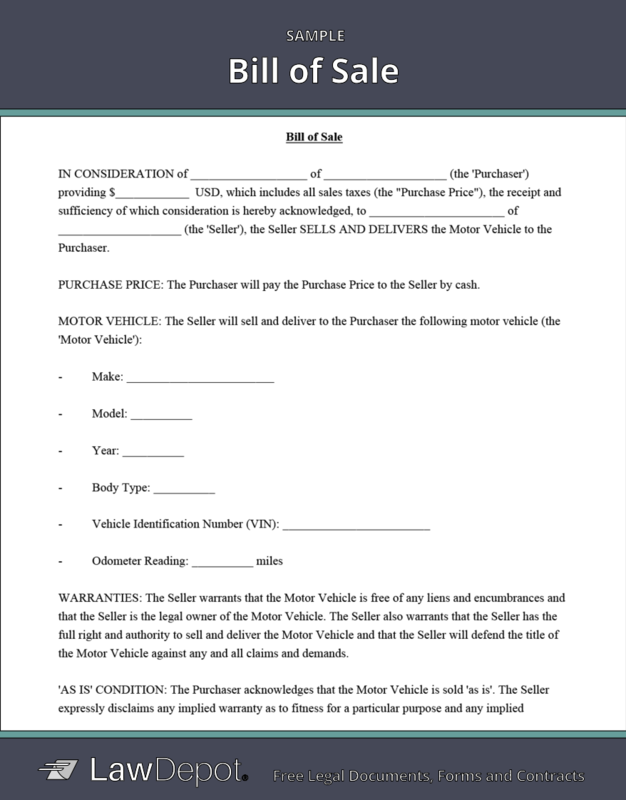 The Sales Agreement is more extensive than the Bill of Sale and should be used when you want a more detailed sale contract, want to provide warranties, or when full payment will be made after providing possession of the goods. What does sold "as-is without any warranties" mean?The term “as-is without any warranties” means that the Seller is not guaranteeing the quality of the product to the Purchaser. The Seller is not liable for any imperfections or flaws in the goods provided the Seller has not taken steps to hide those flaws or lied about the existence of those flaws. this 25th day of April, 2019.